Enterprise security traditionally relied on a fortress strategy that locked down user endpoints and created walls around the network. Today, this strategy cannot support or secure the use of mobile devices and SaaS capabilities, which exist outside the fortress. As a result, Chief Information Security Officers (CISOs) have been looking for new solutions that can secure these technologies today, and adapt as threats and business needs change. 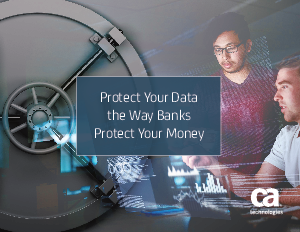 The credit card industry’s security model is one example that provides a new way to think about risk and contain it—that is, if you can see past the occasional bad rap it’s gotten from attacks and breaches.